The beauty industry is thriving steadily as people become more conscious of the different aspects of their appearance. However, keeping your skin in its best condition is not just related to appearance but health as well. Healthy skin is part of overall bodily health. If the skin is not kept cleansed and moisturized regularly, it can lead to unwanted issues such as acne, excessive dryness, uneven skin tone etc. Additionally, it can become the reason for premature aging as well. This will include the skin losing its ability to produce collagen and becoming loose; hence leading to wrinkles and fine lines. People can not only use cosmetics to cleanse and moisturize the skin but certain beauty devices as well. These beauty machines can support deep cleaning and have the ability to work with beauty products as well. Certain machines are used for massage purposes so the natural functions of the facial skin could be activated. In today’s post, we discuss some of the most popular beauty machines that can be easily used at home for maintaining healthy skin. A facial cleanser brush is not only effective in pulling out the debris from the pores but can be used for additional purposes. These include absorption of beauty products and removal of makeup. The fibers of the brush are made from different materials and are available in various sizes as well as shapes. Blackheads are always stubborn to remove. If regular treatments are not working, you will need devices that use suction technology. The blackhead removal machines come with a number of heads that fit various sizes of blackheads and pull them powerfully out of the pore. 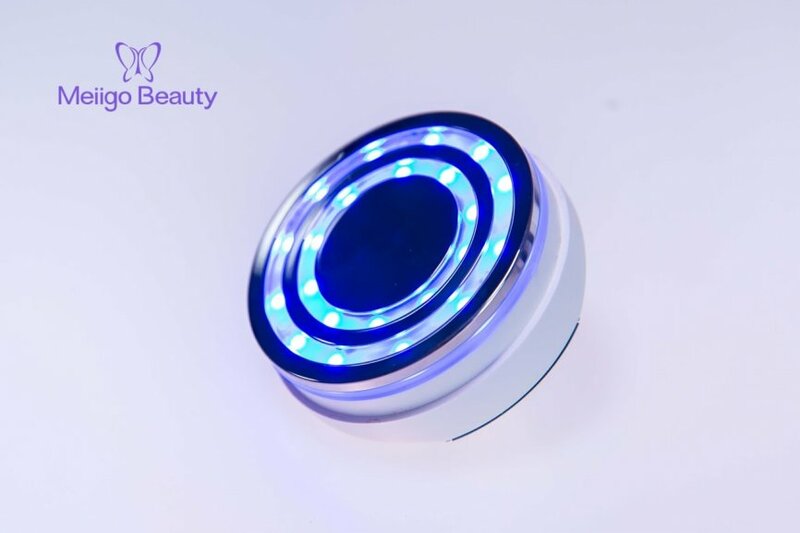 Radio Frequency machine is a small home-use skincare treatment, which is used waves to penetrate the skin surface and catalyze collagen formation. A RF anti aging beauty device is always recommended to follow up using with serum or conductive gel. The RF beauty treatment has effectively reduced the wrinkles, as well as increasing the youthfulness of appearance without having to have a dermatologist practice laser surgery on face. This is a high-quality, powerful RF beauty machine that you can use it in the home or at your traveling. A facial steamer machine is effective for loosening up the pores. Not only the skin becomes pliant but the debris inside the pores is easier to remove this way. The machine opens up the pores with heat and a regular mask can then be applied to pull out the debris. Instead of buying chemical-rich products or expensive organic products from the market, it is not difficult to prepare DIY fruit and vegetable masks at home. Various fruits and vegetables are enriched with skin-healthy nutrients and active ingredients that provide deep cleaning. The fruit mask machine can be used to prepare such masks and scrubs at home without much effort. Meiigo Beauty is the manufacturer of at-home beauty machines. They provide all of the above-mentioned machines at a reasonable price. All devices are safe, handheld, and convenient for use at home. Modern designs and technology also make it quite simpler to keep the machines clean between uses.